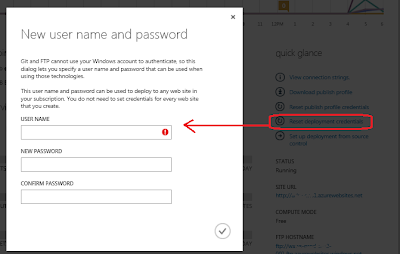 Moudrick's tech blog: Cannot create/reset deployment credentials on an Azure Web Site? 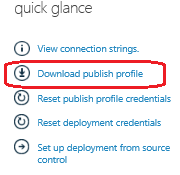 Cannot create/reset deployment credentials on an Azure Web Site? 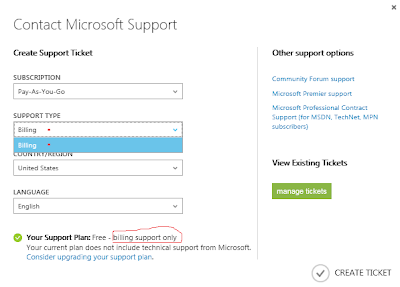 I encountered a problem recently, attempting to browse Azure Web Site using FTP access. What I was actually trying to do is getting my custom logs written down to App_Data. In order to get FTP access, I started to create an account for this, according to my own understanding and many instructions in the Internet. You know, I even started of grief to think about writing a temporary custom viewer of App_Data. Surprisingly, these credentials did the work properly. Of course, if not to forget to turn on Passive Mode for FTP. Now we've got the FTP access and reviewed the content of App_Data folder even in free plan. UPDATE. It looks like some information about this has already appeared in the Internet. 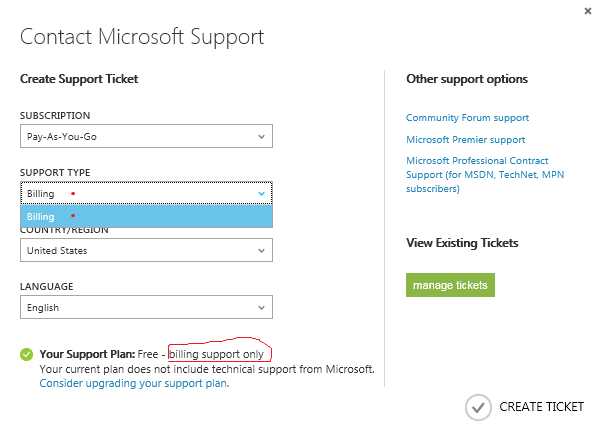 CSRun: why doesn't it work?